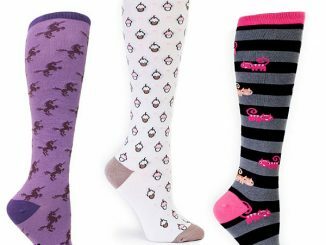 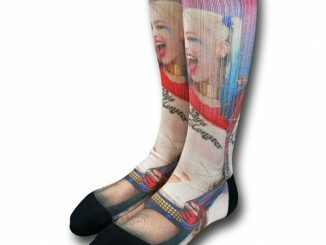 There will be no joking around when you’re wearing the DC Comics Harley Quinn Over-The-Knee Socks, but you might want to keep both eyes open for bats hiding in shadows. 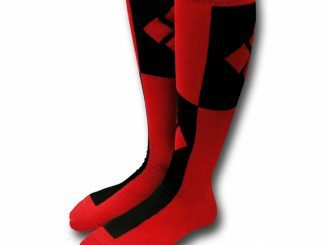 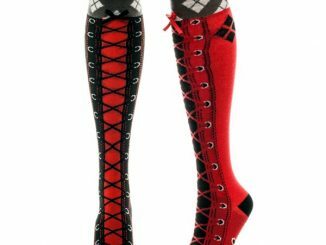 You don’t have to be in love with a clown to enjoy these red and black, over-the-knee socks that feature Harley Quinn’s distinctive diamond design. 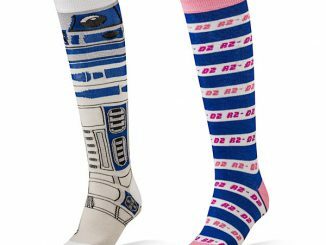 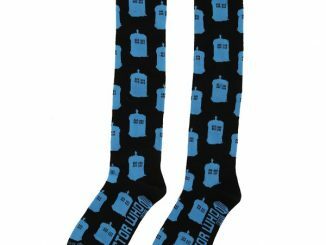 They’re 70% polyester, 20% nylon, 10% spandex, and 100% awesome. 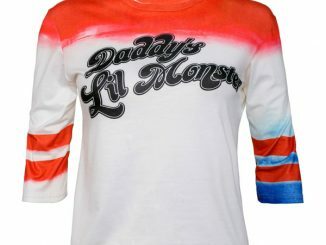 Get crazy and let Daddy’s Lil Monster out to play as you paint the town red… and black. 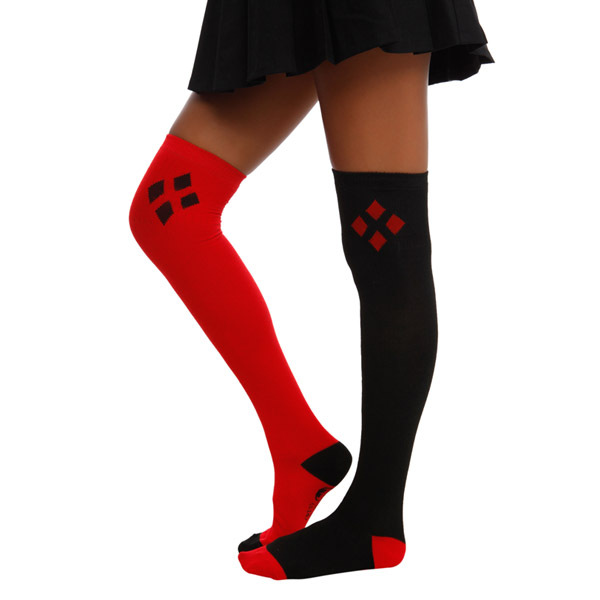 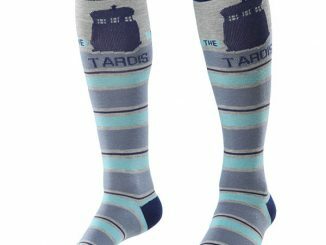 The DC Comics Harley Quinn Over-The-Knee Socks are available for $9.50 at Hot Topic.